The proposed Prevention and Management of Learner Pregnancy in Schools (Draft policy) fails to frame itself with the right of learners (including pregnant learners) to access basic education, and the state’s duty to protect this right, at its centre. Rather the Draft Policy seems to emphasise the impact of learner pregnancy on government planning and national development. This can be seen, for example, in the Draft Policy’s failure to outline measures to be taken during pregnancy and after delivery to ensure that learners return to school. This is one of the major criticisms of the Department of Basic Education’s Draft Policy relating to the Prevention and Management of Learner Pregnancy in Schools published in February for public comment. The Equal Education Law Centre and SECTION27 made a joint submission, noting the Draft Policy’s potential to, amongst other things, reduce the incidence of pregnancy through the provision of quality comprehensive sexual education (CSE) and sexual reproductive health services (SRHS), ensure the retention of pregnant learners in the education system, and to enable non-discriminatory environment for pregnant learners pre- and post-delivery. 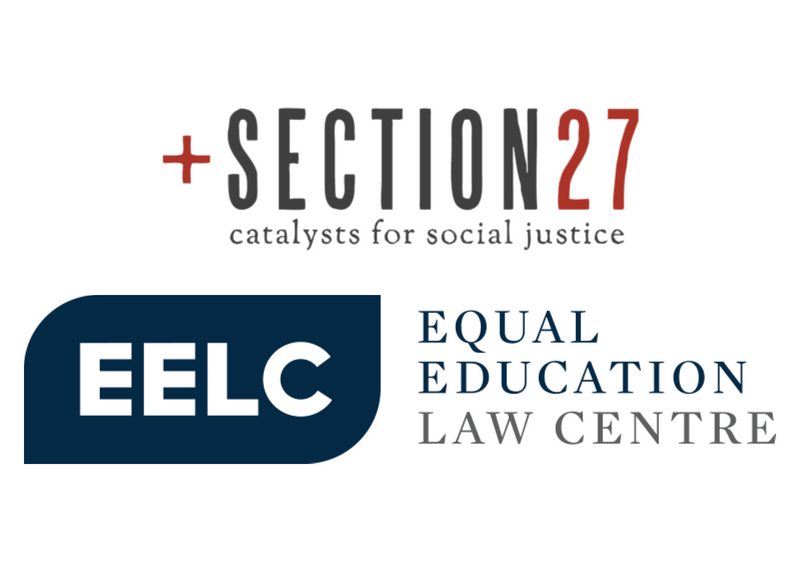 Whilst acknowledging the potential of the Draft Policy, EELC and SECTION27’S submission also critiques areas of the Draft Policy which require further consideration. It does not adequately describe the scope and content of SRHS to be provided in schools and the persons responsible persons for the provision of these services. It is inconsistent regarding who is eligible to access pregnancy prevention services, CSE and SRHS. In particular, in some places in the Draft Policy access to CSE and SRHS is limited by age and in others it is provided without limitation. This results in internal inconsistencies which are further perpetuated by vague, undefined phrases, such as that the right of access extends to all learners “from the end of the primary phase”, or that access to condoms is dependent on the “level of inquiry or need”. There is also ambiguity in the provisions relating to ensuring the pregnant learner’s access to education, the reasonable accommodation of pregnant learners and what “reasonable” accommodation means, and the factors to be considered for a learner’s return to and retention in school after giving birth. The Draft Policy requires the development of critical partnerships with key stakeholders, and recognises the different roles and responsibilities of government departments, SGBs, NGOs and community and faith-based organisations. It fails however, to define these roles and responsibilities or the terms of engagement of these stakeholders. The Draft Policy places heavy reliance on nurses who were appointed under the ISHP to deliver the SRHS contemplated in the Draft Policy. However, the ISHP has its own implementation challenges, which are yet to be overcome. These challenges include a lack of communication of the ISHP to schools; lack of training of school managers regarding implementation; shortage of professional nursing staff to administer the services; insufficient transport to and from schools for nurses; and insufficient monitoring and support for the evaluation of ISHP outcomes. The Draft Policy is silent on the protection of the rights of learner fathers, perpetuating existing societal prejudice that child rearing is the sole responsibility of the female learner. The Draft Policy fails to establish mechanisms of accountability through which learners are able to report abuses or failures to enforce the provisions of the Draft Policy or to appeal decisions taken in terms of the Draft Policy. include of clear mechanisms through which learners can report abuses and appeal decisions.